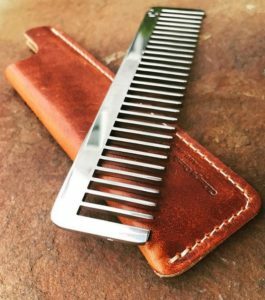 Chicago Comb Co. is the Chicago-based maker of award-winning metal and carbon fiber combs and daily grooming essentials since 2010, from co-founders John Litwinski and Tedd Strom. 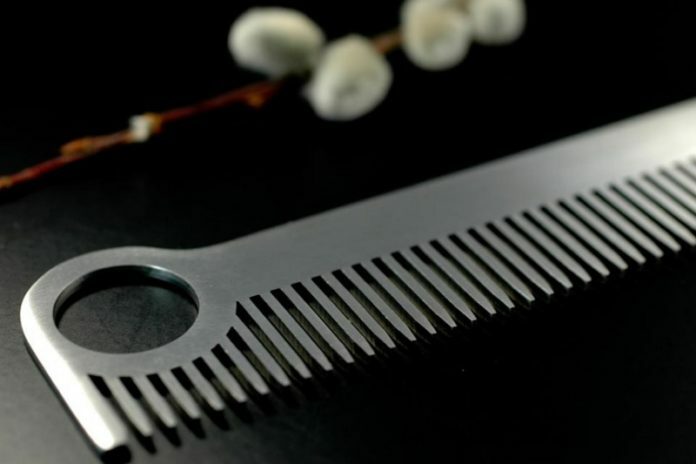 The iconic metal combs are laser cut from stainless steel and hand-finished to give you a professional-grade, carbon fiber comb for your hair, beard and mustache. All the combs are proudly designed and hand-finished in Chicago. We are excited to welcome Chicago Comb Co. to our 4th season of the Chicago Artisan Market on Sunday, March 10, 2019 from 10am-4pm at Morgan MFG. The vision of Chicago Comb is to create products that will be treasured and admired across generations. Rather than creating fast fashion, which is so transient, they aim to create combs that reflect an enduring style and permanence. The company was founded on the principle that everyday objects should also be enduring works of sculpture and design. They also carry a wide range of handcrafted Horween leather sheaths from Chicago’s world-famous Horween leather tannery, all cut & sown in Chicago. You can also personalize any comb with a custom engraving. • Timeless Design – Chicago Comb Co. metal combs showcase timeless elements of design that transform the commonplace into the extraordinary. • Artisan Manufacturing – They employ artisan manufacturing methods which blends the latest technology with traditional hand craftsmanship. Each Chicago Comb begins life as a solid block of high performance stainless steel or pure American titanium. This high quality material is then stamped and precisely laser-cut until the shape and design of the comb emerges. Each comb is then individually hand-finished for daily use, comfort and beauty. 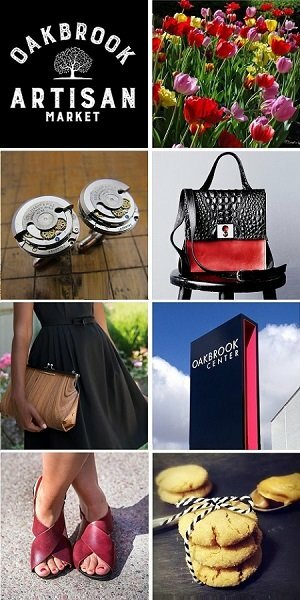 • Made in USA – One of the core values is local production. Chicago Combs are 100% designed and made in the United States using the highest quality materials. The combs are crafted from stainless steel made in Kentucky and from titanium made in Ohio. Chicago Combs are precisely laser-cut and carefully polished in Chicago, and the beautiful custom packaging is also made here in Chicago. John and Tedd’s vision is to create combs that will be treasured and admired across generations. Like a classic wristwatch or elegant cufflinks, they believe a fine comb is one of the essential elements of a gentleman’s style. Rather than fashion, which is often transient, we aim to create combs that reflect an enduring style and permanence. Friends since 7th grade, the co-founders of Chicago Comb, John and Tedd, grew up in the 1980s and were were keenly aware of how the closure of factories and the decline of manufacturing was affecting Chicago and the rest of the country. 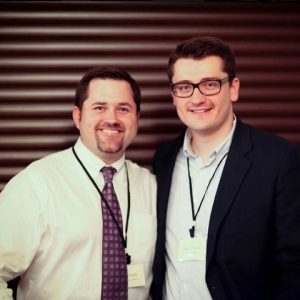 Fast forward twenty years – John and Tedd had established careers when, in early 2010, the idea for Chicago Comb was born. John was showing Tedd a condo he had bought on the North Side. The condo looked much like it had in the early 1960s, when the building was built – but it needed to be completely renovated from a style standpoint. However, they were amazed by how well it had been built – it was a great testament to how, fifty years ago, companies actually made products with the idea they should endure. From those early discussions, the idea for a beautiful, high-end men’s hair comb was born. There was nothing like it on the market as metal combs, like a lot of other products, had disappeared from the market decades earlier.